Do you think your men’s hairstylist should participate in continuing education after being licensed? I do. I’ve been in the beauty industry for over 25 years and continue to be amazed that the Board of Barbering and Cosmetology does not require licensees to have continuing education hours in order to renew a license. Because the Board does not require continuing education it is left to salon owners to require their service providers to get outside education in order to stay current on industry trends. 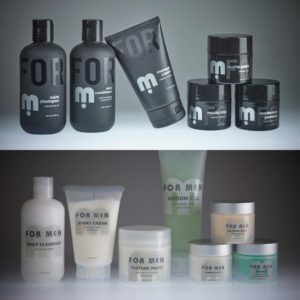 At metro FOR MEN not only do we require our service providers to seek outside education in order to grow within the salon we also host in salon education. Shawna with Aveda recently hosted a men\’s hair cutting class where all my hair department team members were present. It was one of the best classes hosted within metro FOR MEN. We were shown three new haircuts for men and then shown how to recreate them. At the end of the class the staff was excited energized and educated. I think it is important to stay educated and connected to my chosen career. In a typical year I receive at least 40 hours in continuing and enjoy it. I lead by example to my staff and show my team at metro FOR MEN that successful service providers continue to be educated no matter how long in the industry. My advice to customers of salons and stylists entertain salons that require continuing education and in salon education and get services from stylists who regularly attend industry education. At metro FOR MEN ask our stylists the last time they went to a men’s grooming class. You’ll hear recently.